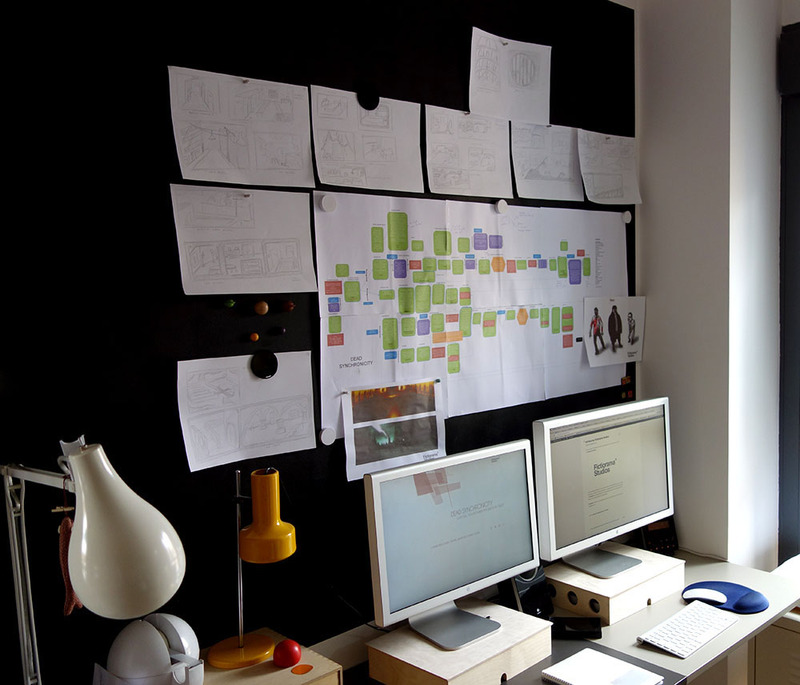 These last weeks, we have been polishing the story, perfecting the puzzles and tweaking the plot here and there. We want the story of “Dead Synchronicity” to be as effective as we know it can be. Therefore, we don’t want to add unnecessary puzzles just to make the game longer than it should be; but we don’t want to leave out, for any reason, things we consider essential. 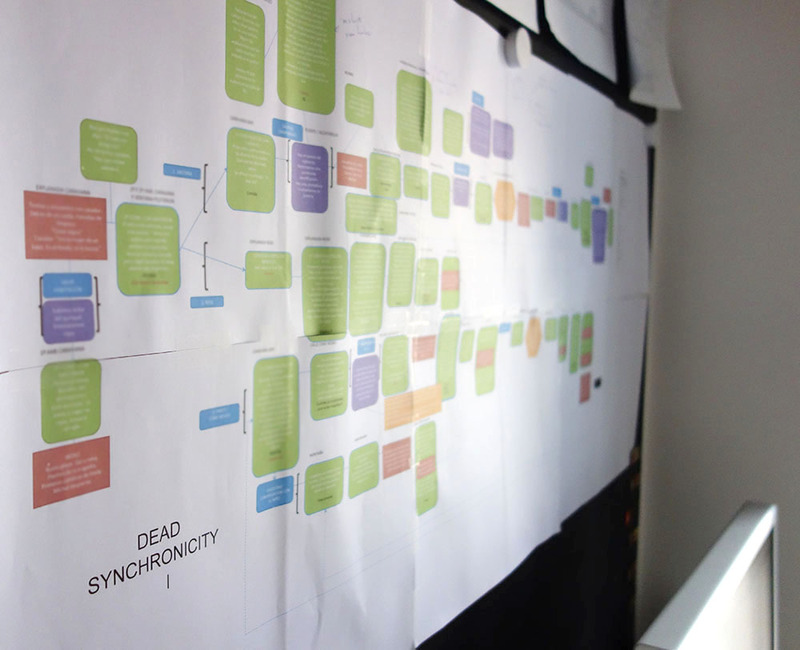 Just to give you an idea, in the photographs you can see the very summarized story-flow of “Dead Synchronicity I” we use for the day-by-day work; it involves dozens and dozens of locations and characters and puzzles and objects… and that’s only half the plot!! We are happy to have made this decision this soon, as it will allow us to make exactly the game we want; to tell the outstanding story of “Dead Synchronicity” the best way; to move you when you play it.